Microsoft's Skype has just announced a major update is now making its way to Android and iOS devices. The main highlight of the update is the addition of TripAdvisor and StubHub integration, which should enable Skype users to organize their next trips directly in a group chat. How is this going to work? It's pretty simple. The first thing you need to do after installing the update is tap or click the Add to chat + button, scroll down, and select TripAdvisor. Then, you can search for a destination or a specific city that you would like to visit. But the improvements go deeper, as you'll be able to search for hotels, restaurants, and other things that you can do in the area, after choosing your destination. All information you find can then be shared in the group chat, which greatly helps when you want to make group travel plans. 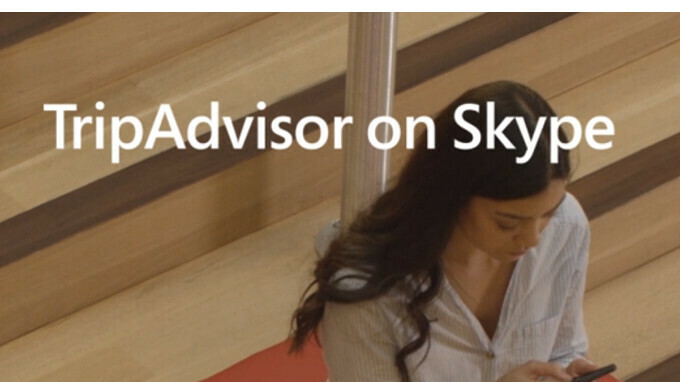 The StubHub add-in is aimed at Skype users who like to plan events. After opening the StubHub add-in, you'll be able to search for a specific event, location, or date you want. The add-in will show you how many tickets are available for the event and will even offer you the tools to find the right tickets at the price point that you prefer. The new add-ins are rolling out to Android and iOS devices right about now, but it might take a few days to arrive on all phones, so be patient if you don't see them right away.